Inbound content marketing can help you reach a wider market. Inbound content marketing can help you reach a wider market. Many residents of assisted living facilities need help with mobility and other physical aspects of their lives, but they retain their mental faculties. However, many assisted living facilities tend to focus more on schedules, efficiency, safety concerns and State compliance instead of ways to promote resident independence. 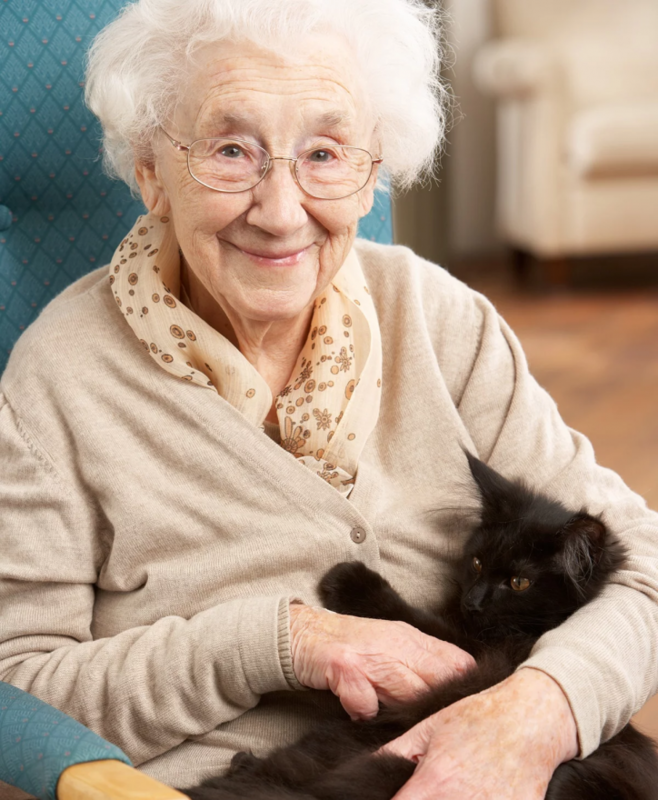 You want to provide the best care possible for your elderly residents, and studies show that balancing safety and independence in an assisted living facility increases the happiness of residents and improves the overall quality of life. But how can you implement programs and strategies that foster independence? The ability to make decisions for oneself is a cornerstone of medical ethics and is perhaps even more important for elderly residents. As the body and mind decline, it is all too easy for a resident to feel like they are losing control of their life. That is why it is important to give your residents as many choices as possible in their daily lives. They may not have control over the medications they take, but they can choose what they want for dinner or whether they’d like to play Bingo, for example. Multiple chances to make choices for themselves throughout the day makes it easier for a resident to accept and even enjoy the parts of life they no longer have control over, such as their living arrangement. It is likely that your staff are already balancing safety and independence in an assisted living facility without realizing it, but extra training can be beneficial. It’s important for staff to understand that independence starts with respect, so they should be instructed to treat each resident as an equal individual. Additionally, autonomy is centered on choice, so clear, concise and jargon-free information should be given so a resident can have a complete picture of what their choices are. Each resident should be as involved as possible involved in any decision that affects their care. There are many key players on a resident’s care team. From the resident and their family members to the CNAs, nurses and doctor, everyone has a duty to help improve the quality of care wherever possible. This is best accomplished through open lines of communication. For example, if your resident tells a family member that they no longer want chicken for dinner, the family member can pass that information on to the dietary staff. 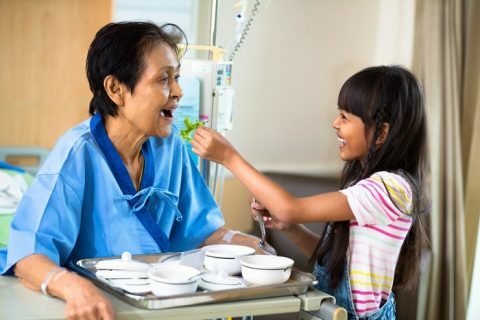 The family member feels like an important part of their loved one’s care team, and the resident feels validated because their needs are better met. Balancing safety and independence in an assisted living facility is relatively easy for residents without any cognitive disabilities, but can take some finesse for others. So long as your staff is fully committed to providing clear information and as many choices as possible, your residents will be cared for safely while retaining as much autonomy as possible. 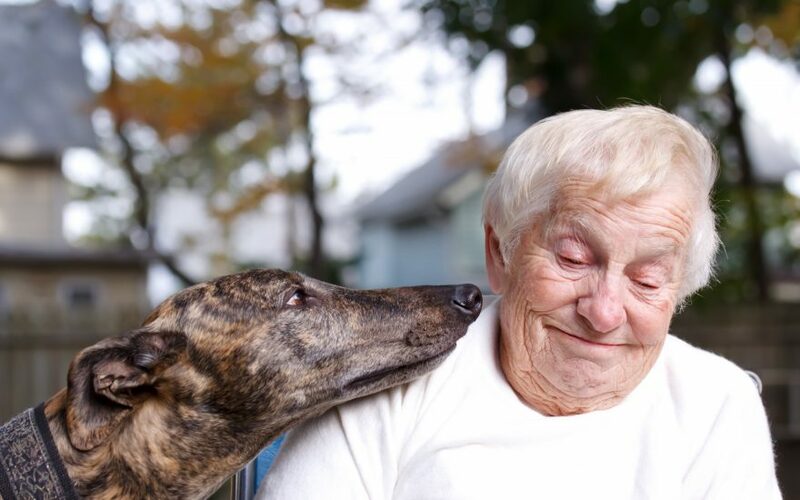 Use inbound marketing to reach more potential senior residents and their adult children and let them know your facility’s unique, caring philosophy. Not sure how to get started? 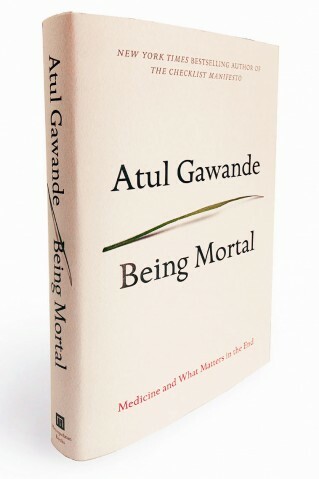 Request a free consultation with UmeWorks on inbound marketing for your Senior Living Facility and receive a copy of Dr. Gawande’s book Being Mortal while supplies last. Include “Being Mortal” in your comments. As the face of America is equally becoming more culturally diverse, senior car facilities are finding it challenging to become not only culturally sensitive but culturally attractive to the growing diverse elder population. The U.S. Census Bureau predicts that within the next three years 25% of adults age 65 and over will be non-Caucasians. Senior Living Centers must keep up with the changes in demographics, and how do they appeal to a multitude of cultures — all at the same time. Some senior living facilities have turned to cultural niches with emphasis on certain particular cultures such as Asian Americans or Hispanic Americans. You don’t have to generalize your senior living facility and steal appeal to a diverse population by incorporating as many cultural traditions as possible. Here are some tips on serving cultural needs in senior living centers. Serving a wide array of food will be attractive to anyone. Train your kitchen staff on cultural dietary restrictions and be sure to always have an alternative option for those that are unable to eat certain meal options, such as a Kosher alternative. 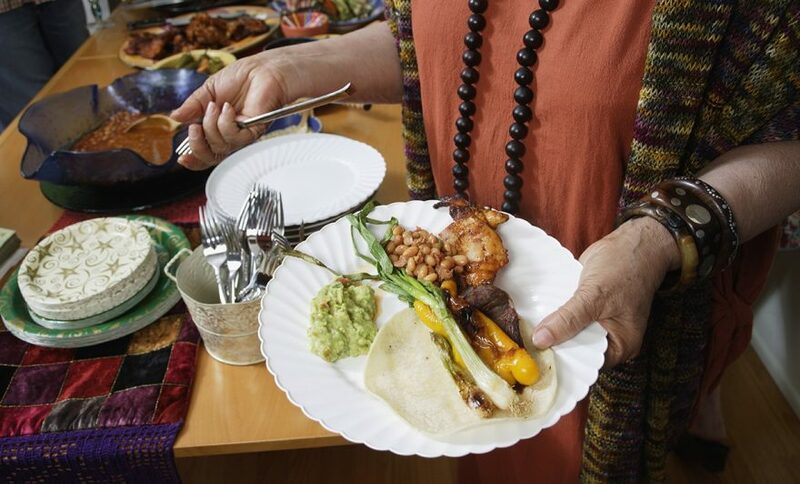 Switching up the menu on a weekly or daily basis to serve different styles of foods is a great way to include many cultural groups but to also help your residents to not become tiresome of the same meal every day. Offering culturally diverse cooking classes in another great choice if you have a facility with active seniors that would like to participate in learning new dishes or want to show others their own traditional meals. Hiring care providers and other personnel that can speak multiple languages is a major plus to residents who would like to be able to speak to others in their native tongue. This can be difficult as there is a multitude of different languages or dialects, however just having translators available would be a huge plus as well. Training your staff and personnel on the differences among cultural holidays and traditions is extremely important as you will reduce possibilities of offending anyone or leaving groups out. Staff must also be aware of behavioral and emotional differences in cultures such as avoiding eye contact as a sign of respect to some. Be sure to celebrate the holidays of your resident’s cultures as well as the traditional American holidays. Residents will appreciate the ability to experience new traditions and to teach others about their own. Provide your residents with access to foreign films, literature, and music so they can feel the comforts of home. If you bring in entertainment to your facility look not dancers, musicians, and speakers, etc who deliver cultural experiences similar to those of your residents. If there are museums or cultural centers close by providing transportation to and from these places will be a huge attraction to residents that crave cultural experiences. The most important thing to keep in mind when serving cultural needs in senior living centers is to keep everyone included and to create a sense of community among diversity. Residents play an important role in making other residents feel welcome so try to always include everyone together to eliminate the potential of cliques forming among different groups. When serving cultural needs in senior living centers always be culturally sensitive to those around you and open-minded to the needs of others. Use inbound marketing to do this. Need help? 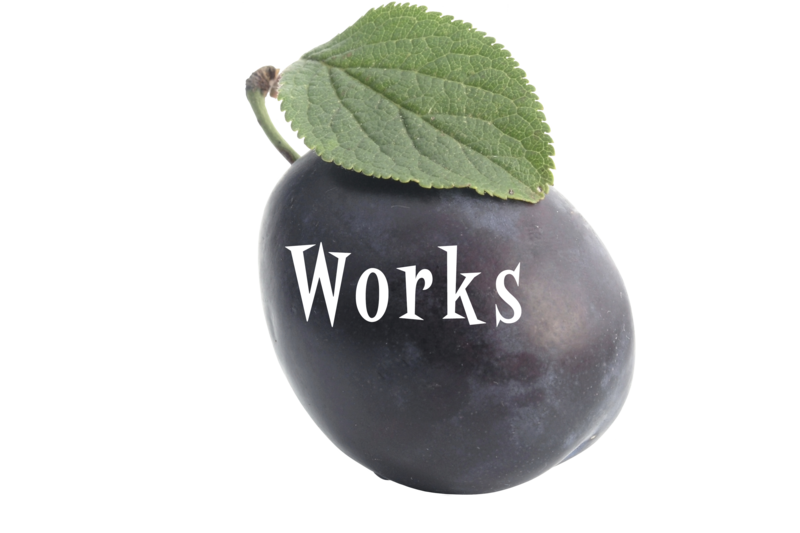 UmeWorks can help you create an inbound marketing strategy to those you are targeting, and help you manage your plan. Contact us for a free initial consultation. I am often asked how I first got into web design. When they do, I tell them about my Uncle Bill. 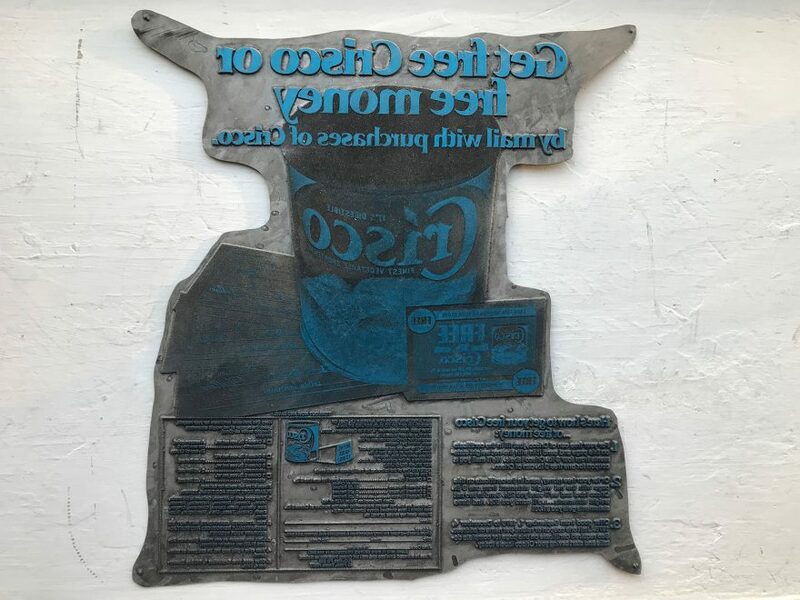 Depending on which generation you are, you may remember ads for Bisquick, Mutual of New York, Alcoa, Bell Telephone System, Crisco and Kleenex that ran in the ‘60s and ‘70s. You may also remember the many family-centered sitcoms of the ‘70s. I grew up watching these sitcoms and seeing these ads. My sisters and I liked a particular sitcom called Family Affair that featured a character named Uncle Bill who lived in New York City. Whenever we watched it, we would point and say, “Look… it’s Uncle Bill!” Although my own Uncle Bill also lived in NYC, he was actually less like that character and more like Darrin Stephens from Bewitched. Those more familiar with more recent TV programs would know more what I am talking about if I compared him to Donald Draper from Mad Men. Both characters were New York advertising executives on Madison Avenue in the 1960s. A few years ago, I had the privilege of going through Uncle Bill’s portfolio with him. I have so much respect for his creative genius and how much work it took to produce such quality design work in his era. You see, in Uncle Bill’s time, the advantages a designer now enjoys just didn’t exist. It was an exhausting and time-consuming process to produce workups for clients to review. Every part of the design, including the lettering, needed to be done painstakingly by hand. A summer class in drafting gave me an idea of how much work it was to do all the lettering by hand. There were none of the thousands of font options and low-cost stock image libraries we have today. 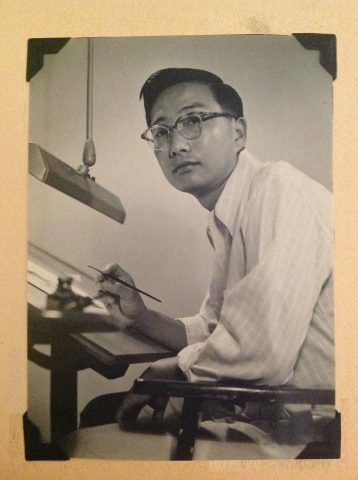 William Shiozawa was a great illustrator, manual typographer, and master of presentation. It is my honor to be able to show you some of his work. Not only did I enjoy seeing these outstanding designs my Uncle Bill created, but I got to hear his stories from Madison Ave.
One of my favorites he shared is the story behind a magazine ad campaign he was creating for a brand of women’s shoes that had a unique rubber sole. His innovative ad layout showed the front and bottom of the shoe on successive pages. To get the best illustrations, my uncle hired an artist who was as known for his great shoe drawings as he was for his unusual hairstyle. The artist turned out to be Andy Warhol. “Mad Men” can keep Donald Draper. I’ll take my Uncle Bill any day. William Shiozawa was kind, gentle, intelligent and talented. William Shiozawa attended the art school in Oakland, CA where he grew up. After serving in the US Army during the Korean War, Uncle Bill returned to his passion for art and enrolled at Art Center in Los Angeles. He then landed a job with an ad agency in New York City and continued as a “Mad Man” until 1980 when he retired and moved to Los Angeles. He didn’t hang up his pencils though; he continued to enjoy drawing portraits with a community drawing club. Every day in my business is a tribute to “my Donald Draper” who inspired me with his work in commercial art. Co-marketing is a channel of marketing that takes advantage of the symbiotic nature of products, services, and businesses, and harnesses their brand power to produce a partnership which gives the individual businesses a greater audience while sharing their marketing resources. Brands that complement each other can take advantage of this exciting form of publicity to boost their own marketing. Here are several examples of how you can use co-marketing effectively so that you and your partners can produce win-win business results. When producing a newsletter together, focus on areas of mutual interest to the readers. This gives your readers a broader perspective and more interesting articles to enjoy unlike just having a newsletter talking about a single company. A good example is a hotel and boat rental company co-producing a newsletter that talks about the local tourist attractions. Social media is a powerful tool and if two companies have an established media presence, they can then leverage their partners’ social media followers to increase their exposure to new customers. Examples of how to use co-marketing effectively on social media includes creating different and creative messages that relate to your partner to promote their brand or shine a light on an activity they are doing. A good example is a partnership between St. Jude Children’s Research Hospital, a non-profit and Red Frog Events. The hospital posts a shout out to Red Frog Events, thanking them for contributing to their new therapy wing while Red Frog Events posts a tweet touting the opening of a new therapy wing at St Jude Children’s Research Hospital. Red Frog Events benefits from goodwill generated by taking part in a worthy cause while St Jude Children’s Hospital gets exposed to potential donors. By doing this, you will be able bring more attention to a cause you support. And both businesses will benefit by getting the attention of potential clients who also care about the cause. A good example is a “donate and dine” arrangement with your local blood bank. A restaurant can organize a blood drive, with a blood mobile in your parking lot. As a thank you to donors, you can provide a free dessert or appetizer when they come in to eat afterward donating. This draws more people to the cause while exposing them to your business and its involvement. Other examples of how to use co-marketing effectively include having your companies using each other products during sales. This will expand your customer base to uncharted territory and you can split the costs with your partner. An example is having your co-marketing partner reward their customers with your products or services, this will lead to more referrals and their customers will become your potential customers. This is one easy way of taking advantage of your partner’s resources. Examples of how to use co-marketing effectively by using each other’s assets include having a pop-up store in a retail outlet where you can market your products. Offer free samples and engage with clients, and you will be able to leverage the brand power of the retail store and the trust and loyalty it has created with its customers to acquire more clients for your business. You can also share your media space where you can talk about each other in newspaper articles, mentioning each other’s strengths and achievements. Having another business or company talking about you shows people that you are a strong brand with a solid reputation.